Glufosinate-ammonium, a component of the herbicide Basta, is one of the most extensively used pesticides worldwide. In this study, we assessed subchronic and chronic toxicities of Basta and its histopathological effects on the marine medaka Oryzias dan- cena. Marine medaka were exposed to 0, 2, 4, or 8 mg/L of Basta for 28 or 42 days. The lethal concentration (LC50) of Basta for 96 h is 8.76 mg/L. 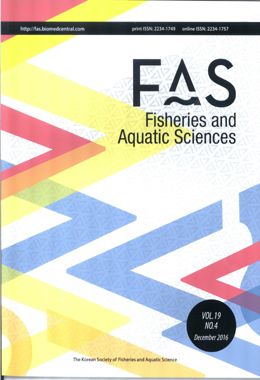 Histological changes in the gills and liver were evaluated with histopathological indices, allowing quantification of the damage to fish exposed to Basta. Blood congestion, lamellar fusion, and epithelial lifting were observed in the gills, and hydropic degeneration, fibrosis, lipid degeneration, leukocyte infiltration, and necrosis were found in the liver. These responses could be useful indicators of Basta toxicity in this species.